Ever wished you could jump into the perfect blue waters of your computer's desktop image? You probably can. These are real photos of real places, after all, and some might be closer than you think. It's actually: Sonoma, California. The original Windows XP desktop image, known commonly to the tech world as 'Bliss,' was taken in 1996 on a road that cuts through California's wine country (the photographer claims the photo wasn't digitally enhanced at all). Grapevines have since been planted on the iconic hillside. It's actually: Antelope Canyon. About a three-hour drive from the Grand Canyon, Antelope is popular with hikers. You always thought this was: Umm... Mount Fuji? It's actually: Mount Rainier, in Washington state. With 25 major glaciers, glassy lakes, and fields on fields of wildflowers, the area around Mount Rainier is one of our country's favorite national parks. It's actually: Burlington, but not the town in Vermont. It's the Burlington in Ontario, Canada. People wonder about the location of this photo more than any other desktop background, it seems. A Vanity Fair writer even went on a year-long quest to track down exactly where it was taken. With help from the image's elusive photographer (who had completely forgotten which town he took it in), they finally narrowed in on "the lane leading south to the old Harris homestead" in Burlington. It's actually: maybe not a real place at all. Techies are quick to notice that the moon is upside down in this image, a dead giveaway that something here has been Photoshopped. If the dunes* are real, though, we say they're a dead ringer for the ones in Sossusvlei, the clay pan in Africa's Namib Desert (it's all the way across the country from the Sahara). *Fun fact: this image was the original default background for Windows XP, until users complained it "looked like a pair of buttocks." It's actually: Pyramid Lake in Nevada, on a night in 2004. This lake served as the default background for the first-edition iPad, and it's filled with water from the Truckee River, which is mostly outflow from Lake Tahoe. It's actually: probably somewhere in the Caribbean. The jury's out on where the Windows XP 'Azul' background was shot, but judging from other photos, it could easily be near Antigua or the Cayman Islands, both of which sit in crystal-blue ocean. You always thought this was: Oh goodness... Iceland, maybe? It's actually: the "Blue Pond" near the town of Biei, Japan. Filled with trees, it changes color in different shades of light. 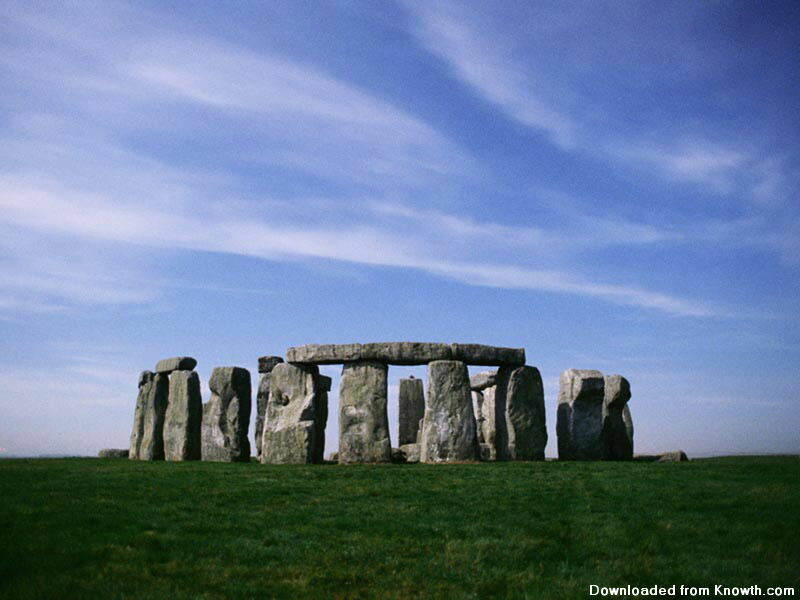 It's actually: Foamhenge, a roadside attraction made of foam in the mountains of Virginia. JK LOLZ... it's Stonehenge.